This post will be talking about Game of Thrones, and therefore if you are not up to date on the show — spoilers abound. Spoiler alert, I’ll be talking about the weather. A clock that’s five minutes fast is always wrong, but a broken clock is right twice a day. (Depending on how exactly the clock is broken, of course.) So if the Starks continue to say “Winter is coming” long enough, eventually it will come true. We haven’t recently seen a white raven from the Citadel on the show, which would signify the change of seasons (we saw the white raven a few seasons ago, officially ushering in Fall) but with snow falling so hard in the North that armies were unable to move, and the ancient and fiendish Others on the march converting living Wildlings into undead wights, I think it’s reasonable to say that Winter has arrived. And it’ll be the Big Winter. Wildlings have lived north of the Wall for hundreds of years, and therefore have survived many, many winters, so it’s not like the Others are prowling around all the time. 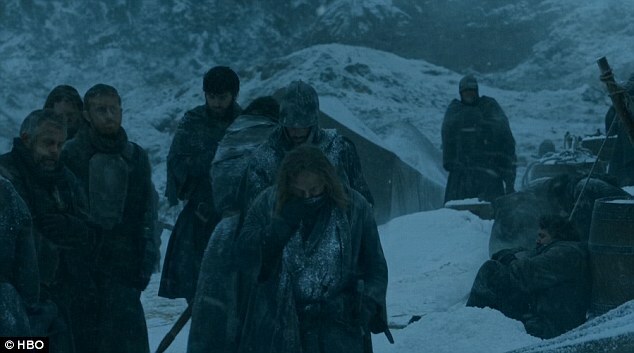 But this time the Wildlings knew to get south. Unfortunately, the south doesn’t seem like it’ll be that much safer. The White Walkers could not have chosen a better time to make their move. The Night’s Watch, who are the first line of defense against the Others, are dangerously depleted in numbers and riddled with conflict. The Watch’s biggest supporter, the ancient kingdom of the North, is currently under new and unpleasant management, and might have troubles organizing the North to do anything cooperatively. So if the Wall can’t keep the White Walkers out and the North won’t be able to set aside their summery squabbles to deal with the greatest threat of the age, what will happen next? The North is really big, so it would take the White Walkers and their shambling horde some time to travel southward. Since we don’t know what the Others’ agenda is, we don’t know if they’ll be staying up north, trying to amass as large an army of the dead as they can, or if they’ll make their own rush for the Iron Throne (maybe they’ve also bought into the idea that the metal chair is important.) Or if they’ll do something else. The next kingdom below the North is the Riverlands, currently controlled by that infamously-inhospitable geezer, Walder Frey. I’m sure he would greet the White Walkers with the same warm welcome he gave Robb Stark and family. A toll bridge. Also a troll bridge. The Twins might seem an excellent place to slow the White Walker advance, provided the wights can’t swim, but if the Wall couldn’t keep them out, the Lord of the Crossings’ keep probably won’t do so as well. 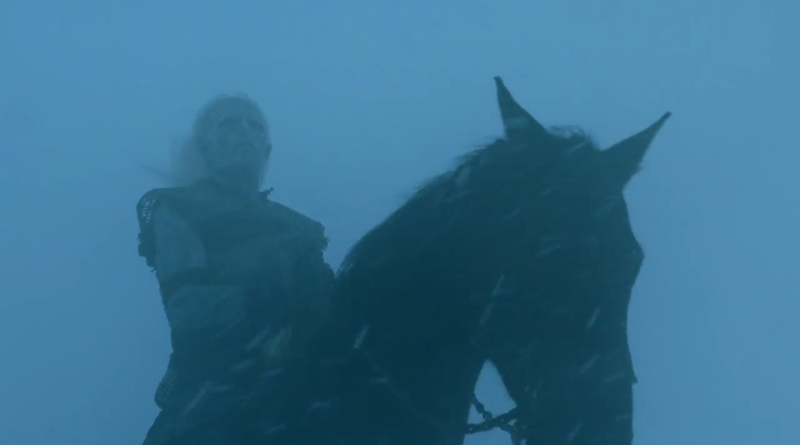 But I bet we’d get a great Hardhome-esque battle sequence. If Stannis were still around, Melisandre would tell him that it’s the North and the Riverlands’ fault for not supporting him as the rightful king from the beginning. I don’t know if I’d argue with Melisandre on that. If the North and the Riverlands had backed Stannis, a lot of bad stuff might have been sidestepped. Do They Know It’s Wintertime in Dorne? Assuming that the White Walker advance is restricted to the climate, just how far south could they go? Winter is definitely a big deal in the North, and since we saw a small council meeting discussing food reserves (which felt like them addressing it as a local problem, rather than a realm-sized problem, as in they weren’t bothering with anyone outside of the Crownlands) we can assume that crop production hiatuses happens down to at least the Blackwater. Does Highgarden get snow in their fancy flowery lands? Doesn’t look like a place that expects to be winterized. Every winter, do the Dornish rename the Water Gardens the Ice Gardens during this time and there’s less swimming and more ice-skating? It doesn’t seem the usual situation. Is the climate change local only to Westeros? There doesn’t seem to be the same kind of concerns over in Essos. Braavos is pretty far north, do they experience the same type of winter? If the south isn’t hit too hard by the weather, it’ll certainly be hit hard with a stream of refugees heading that direction, to escape the White Walkers. 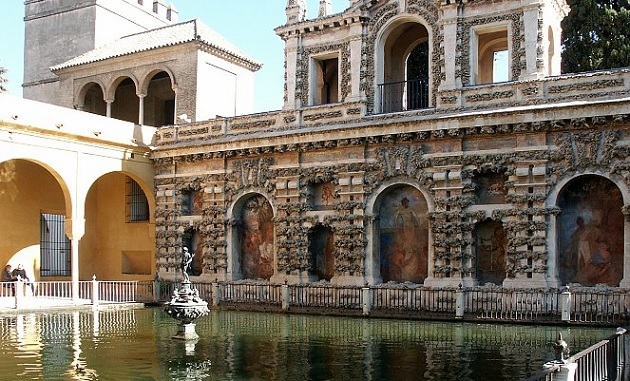 Dorne seems like a place that can’t afford to support a large population, so it’ll be rough and desperate along the Dornish marches. The chaos and issues brought on by Winter and the White Walkers might play into Daenerys Targaryen’s monarchical aspirations. We know that fire is a useful weapon for combating the wights of the Others, it seems like a handful of dragons would be of great value in halting their advance. Dany might use that to gain quick support among the starving, desperate masses who would be more happy to be alive and ruled by a Targaryen Queen than serve for eternity as a skeletal soldier in the Night King’s army. 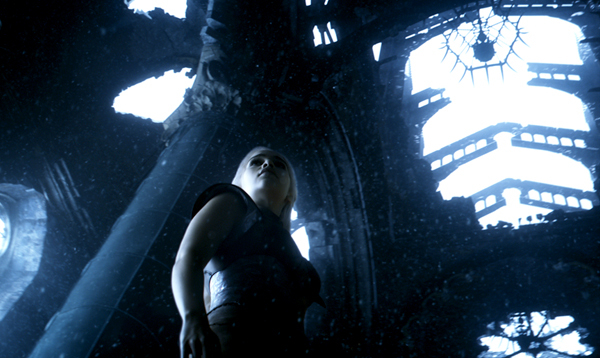 One of the prophetic visions Dany saw in the House of the Undying was the Iron Throne covered in snow. That could mean totally anything, because that’s how visions are, but it could mean that winter is her key to obtaining the throne. Of course, once the White Walkers are repelled (assuming they are) Dany would have a broken, starving kingdom to manage. Dragons might assist in compelling the Tyrells to feed everyone, or force the Ironborn to donate their ships to facilitate relief missions. Spring is around the corner? The showrunners can certainly do their own thing, but my hope is that both they and George RR Martin are working from the same outline. GRRM’s next book is The Winds of Winter, but his alleged final book in A Song of Ice and Fire will be titled A Dream of Spring. I’m hoping that this means that the forces of winter will be repelled, and rather quickly. Unless Book Six covers a period of years. If that happens, at least Bran in the books will have caught up physically with Bran in the show. 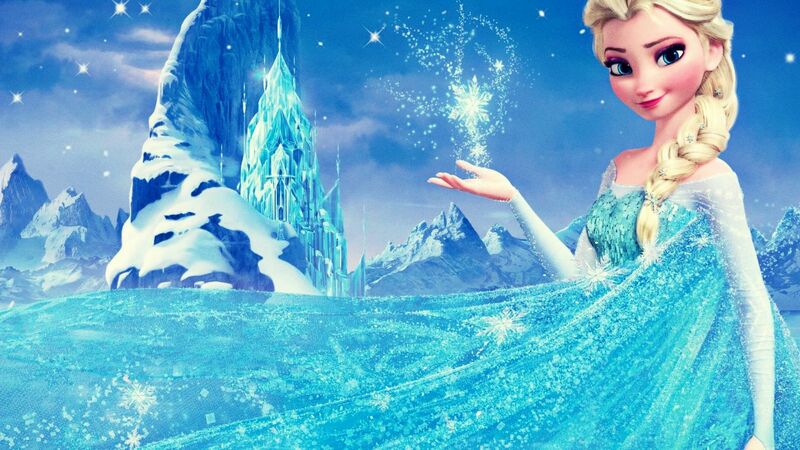 Here in the real world, Winter has finally come as well. 2016 is just around the corner, and with it season six of Game of Thrones. I’d say I can’t wait, but I’ve waited this long. Old Man Winter carrying Baby New Year in his arms. I’d never really thought about the effect on southern, warmer lands with the whole winter threat. Makes sense they wouldn’t be affected but personally I’d like an apocalyptic Ice Age whitewash, with snow drifts up at the top towers in King’s Landing and that animated dude with the acorn! The idea of Scratch (I think that’s the paleolithic squirrel-rat’s name) running around icy King’s Landing… that’s very fun. We need more cute fuzzy animals running around. Whoa, he could be a little direwolf or something! Oh, he’d find some hilarious way to survive. Dany and Elsa have the same incongruent eyebrow problem. Drives me bonkers, but I suppose super blonde eyebrows might look too odd or be too light. To (attempt) serious, I wonder if the “snow on the throne” could refer to Jon Snow, but we know what’s said about prophecies, don’t we? I’m a big fan of “hey, there’s snow on the throne” to literally mean my favorite sourpuss with Stark blood, large and in charge. *sigh* You know for the longest time I fought my feelings for Jon Snow, but then o had to admit I was a fangirl. Why fight it? Give in to your feelings. You know it to be true. Yeah, it’s 70 degrees here in Maryland. The first day of Winter, harrrumph! I won’t have any Game of Thrones post next week, but in 2016, I’ll have one a week until the new season starts, it’s kind of therapy while I’m waiting. I understand you might not want to read them during the hiatus, I respect that entirely, but thank you so much for leaving the comment, Khaleesi. Thank you and enjoy your solstice festivities, Ser Patrick. 1) There are indications that, when last the Others were invading with the spread of eternal winter heralding their approach, it was a global crisis, not restricted to Westeros, so I am operating under the assumption that this is the same again, and the southern countries will certainly be in mortal peril from the cold. I think you’re right about the global nature, since the Azor Ahai myth seems to have developed from the last Other incursion, and I think those events happened in Essos. I agree that we might never see Spring in the books. 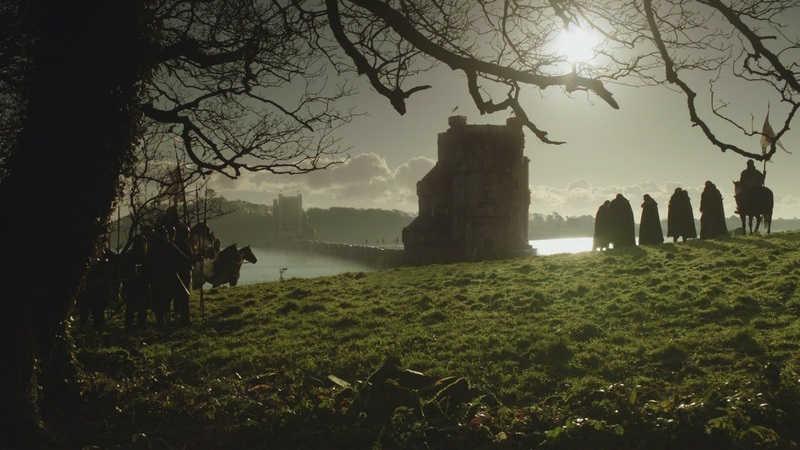 Minor nitpick – I feel like the Riverlands would basically freeze up and teh White Walkers wouldn’t have to bother with the Twins’ toll bridge. And further, that Walder Frey would have NO PROBLEMS throwing babies down at them from the battlements as the Others pass by. Hell they’d probably be like ‘what do we do with these we can’t take babies right now we’re on our way somewhere’ and he’d be like ‘PFF NOT MY PROB BRO’ and go back yelling at his eight generations of kids. I will not argue with you, particularly about Walder Frey’s baby tactic. That made me smile. Why did it make me smile? We’re talking about babies! I blame you.